Astronomer Neil deGrasse Tyson will be the host for the new "Cosmos" series. Three decades after Carl Sagan's original "Cosmos," a new version is heading for the Fox TV network in 2013 ... with some fresh surprises in the mix. One of the biggest surprises apparently has to do with the guy who helped get the series green-lighted by Fox: Seth MacFarlane, the creator of "Family Guy," a Fox cartoon sitcom that The New York Times calls, ahem, "bawdy and irreverent." But it shouldn't be all that surprising. "Family Guy" has been known to poke fun at scientists as well as the scientifically challenged, and because he was born in 1973, MacFarlane was at the perfect age to start drinking in Sagan's wisdom when the original "Cosmos" appeared in 1980. The astrophysicist following in Sagan's footsteps for the new 13-episode series will be Neil deGrasse Tyson, who is director of New York's Hayden Planetarium as well as a seasoned author and TV host. Tyson said he and MacFarlane discussed the idea of re-energizing "Cosmos" as a follow-up to a Science and Entertainment Exchange session they both attended. "It was his vision that any 'Cosmos' that's done today needs to reach the kinds of people who wouldn't otherwise think about science," Tyson told me. "Fox is not exactly known for its science shows. You put a science program on Fox, people will sit up and take notice." Tyson put MacFarlane in touch with Ann Druyan, Sagan's widow and co-founder of Cosmos Studios, who will serve as an executive producer and writer for the new series. Druyan recounted how MacFarlane made a strong pitch for the concept with Fox executives. "He said that if he personally had to pay half of the cost of the pilot out of his own pocket, he would do it," Druyan told me. But it didn't have to come to that. Once Fox Broadcasting chairman Peter Rice started watching Sagan's recorded "Cosmos" shows with his family, he was hooked. Now Druyan and astrophysicist Steven Soter are hard at work, writing the scripts for the new series. Both of them also worked with Sagan on the original "Cosmos." "Steve and I have been thinking about this and working on this for many years," Druyan said. "This will be completely original, but it will be 'Cosmos.' ... We know 'Cosmos' when we see it, and this is 'Cosmos.'" The original series delved into the nature of life (earthly and extraterrestrial), the universe and everything, all from the perspective of Sagan's "personal voyage" of scientific discovery. If you haven't seen it, you simply have to check out "Cosmos" on Hulu. Thirty-three years after "Cosmos" came out, the book based on the series is still No. 1 on Amazon's astronomy best-seller list. Dryuan said she's "so proud and so happy" to hear that the original "Cosmos" is so revered, and that the new "Cosmos" is so anxiously anticipated. "I think there's been a real hunger in our society of late for getting back to a time when the revelations of science can command attention on prime-time television," she said. Druyan was reluctant to reveal any of the new twists that she and Soder might work into the new scripts. "We want to save a lot of surprises," she said. But she assured me that Tyson would be much more than a Sagan clone. "We picked Neil for his 'Neilness,' and we wouldn't dream of making him impersonate Carl," she said. "We picked him because he has that same kind of charismatic passion to communicate the wonders revealed by science. But we are writing this for him, in his voice. You'll be feeling the 'Cosmos'-ness of it, but I know Neil will be bringing what is so special about him to this presentation." 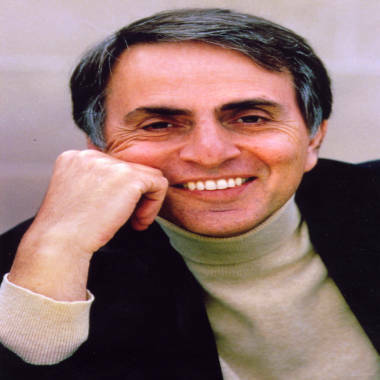 Astrophysicist Carl Sagan (1934-1996) was the host of the first "Cosmos" series, which premiered in 1980. The 52-year-old Tyson, who is seven years older than Sagan was when the first "Cosmos" premiered, voiced a similar sentiment. "I cannot be Carl Sagan. I can only be myself," he told me. "But we both, from a very early age, were looking up and wondering about the universe. ... To the extent that we overlap, it's not that I'm cueing off Carl Sagan, it's that we're both cueing off a common experience that every astrophysicist has." Tyson said one of the secrets of Sagan's success was his ability to play the role of a "tour guide" to the cosmos, rather than a teacher at the front of a classroom. "What people remember the most about 'Cosmos,' and what it did best, and what I don't think has been duplicated, is the effort to convey the meaning of science to a citizen of planet Earth," Tyson said. "'Cosmos' brought science to the public in a way that meant something to their relationship to each other, to the world and to the universe." Tyson said some of the tools that Sagan brought to the task will return in updated form for the new "Cosmos." For example, Sagan illustrated the long sweep of the universe's 13.7 billion-year existence by condensing it into a 12-month "Cosmic Calendar." If the universe began on Jan. 1, our solar system was formed on Sept. 1, life arose on Earth on Sept. 21 — and the human species made its appearance after 10 p.m. on the last day of the year. "We have other stories to tell, to place on that calendar," Tyson said. And he can hardly wait to tell them. 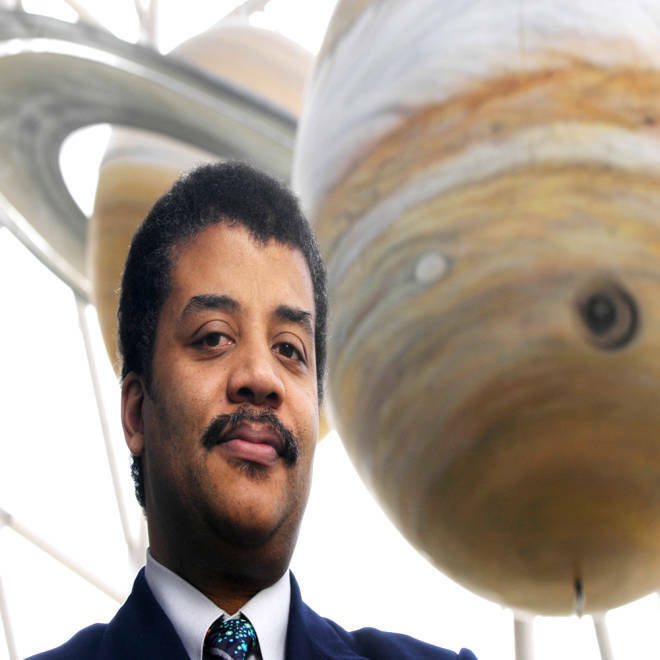 "This new 'Cosmos' is overdue, and I'm honored to be a part of that," Tyson said. "Cosmos: A Space-Time Odyssey" is due to premiere in 2013 on Fox, with same-night encores of each episode airing on the National Geographic Channel. The series will be produced by Druyan's Cosmos Studios. Executive producers include Druyan, MacFarlane, Cosmos Studios President Mitchell Cannold and Allan Butler of the National Geographic Channel. Connect with the Cosmic Log community by "liking" the log's Facebook page or following @b0yle on Twitter. You can also add me to your Google+ circle, and check out "The Case for Pluto," my book about the controversial dwarf planet and the search for new worlds.